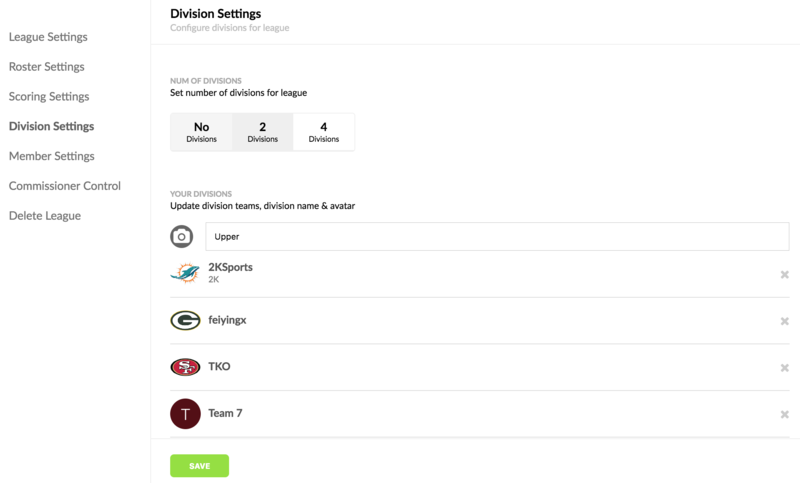 How do I set up divisions / conferences for my fantasy football league? You can set divisions from our web app. First you will want to go to Edit League / League Settings. You can even give your divisions different Avatars and names.